SAFL’s efforts to support smallholder farmers have centered on a project called Supporting Smallholder Agriculture (SSA). 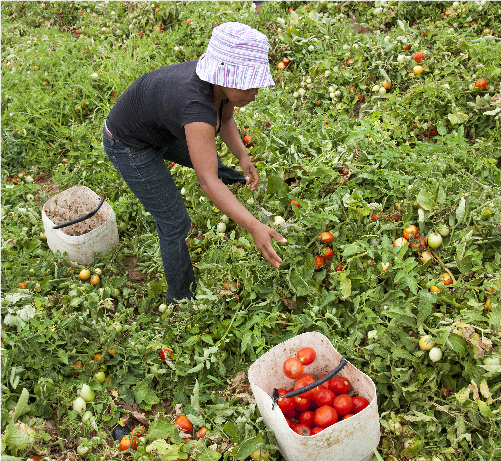 In partnership with the Institute for Poverty, Land and Agrarian Studies (PLAAS) at the University of the Western Cape, this initiative launched in April 2012 under the name Supporting Smallholders into Commercial Agriculture: A social dialogue and learning project (SSCA). During the social dialogue phase in 2013, SAFL conducted a number of collaborative activities which consisted of three learning journeys, consultative dialogues with smallholder farmers and farmer associations, two innovation labs and a transition lab. These led to the formulation of the following innovations aimed at shifting the smallholder-led system towards a more sustainable and equitable path. The project is currently in a transition phase from innovation formulation to the prototyping of these innovations in the districts of Mopani in Limpopo province and Umkhanyakude in KwaZulu Natal province. The SSA projects can be explained in the context of our Theory of Change: The U-Process. In 2014, Reos Partners undertook a study, focusing on the SSCA project as a lens through which to reflect and learn, based on an action research methodology called a “learning history”. This research can be viewed here. In November 2016, the SAFL hosted a learning journey to the Mopani district of Limpopo to review the developments in its SSA programme and consider its role in and implications for the organisation. A full report of reflections on this journey can be read here. Following on this, a smallholder workshop was convened in May 2017, of which some reflections can be read here. Contact Kenneth Carden if you have any questions with regards to the SSA programme: kenneth@southernafricafoodlab.org. The Food Lab’s work addressing smallholder development through dialogue and social innovation in the South African food system is an affiliated project of the 10YFP Sustainable Food Systems Programme. Learn more about this affiliation here.